I had a wonderful time working with this sketch, and this time I decided to create a Holiday card using my two newest to me stamp sets! In my most recent order I received Oh, What Fun and Festive Fireplace and while putting these sets together order was coincidence this card worked perfectly with this week’s sketch. Using the two sets together didn’t jump at me when they were in my cart, but as soon as I sat down to work on this sketch they seemed meant to be together. I also used the beautiful Season of Cheer Designer Series Paper and some Tip Top Taupe 1″ Dotted Lace Ribbon with some corner placed pearls to complete today’s creation. Now, I realize that you may not be sure how the the lovely greens became slightly curved – since they are straight in the set. I will let you in a on secret…ready?! 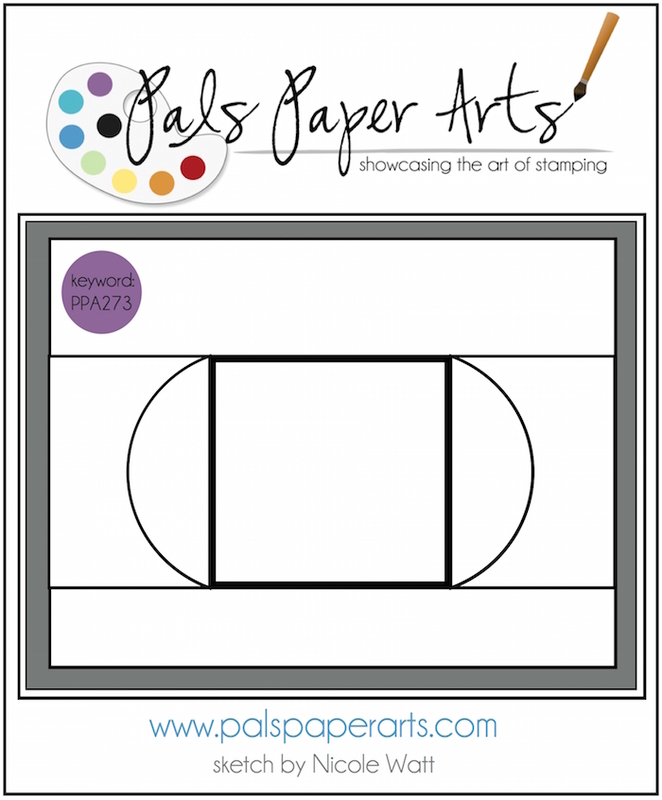 Okay, here it goes…you can add a slight bend or curve when working with our photopolymer stamps! All you have to do is to attach one side of the stamp in question to your clear block and adjust the other side until you have the results you are looking for. Of course this technique works best on longer and thinner stamps, but give it a try! I would like to see what you come up with! If you haven’t heard yet Stampin’ Up! is having a sale! 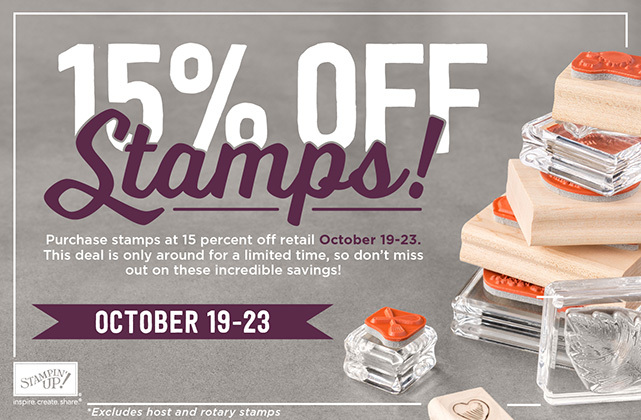 That’s right, ALL Stamp Sets are 15% off!! OH…and that’s not all…you can Join My Stampin’ Up! Team and this sale price will be used on all Stamp Sets (Clearance, Host, and Kits do not count) in your kit! If you have an order over $125 and would like to spend only $99 + tax on that order instead, consider joining my Team! I would love to share so much more with you about Stampin’ Up! Thank you for visiting my blog today. I hope you stop by again soon! Have a wonderful day! If you would like to receive my newsletter and keep up on all the Stampin’ Jackie news and updates please email me at jackie.diediker @ gmail.com. Order today at Stampin’ Jackie Shop! If you decide to shop online today with the Holiday Catalog I would appreciate if you could add host code: QKZPBSVV to your order. Perfect for the holidays and I love the vavoom of the lace!